Our peer to peer investment platform launched in 2012. Peer to Peer lending, also known as Person to Person or P2P lending allows investors to finance development projects and property purchases. 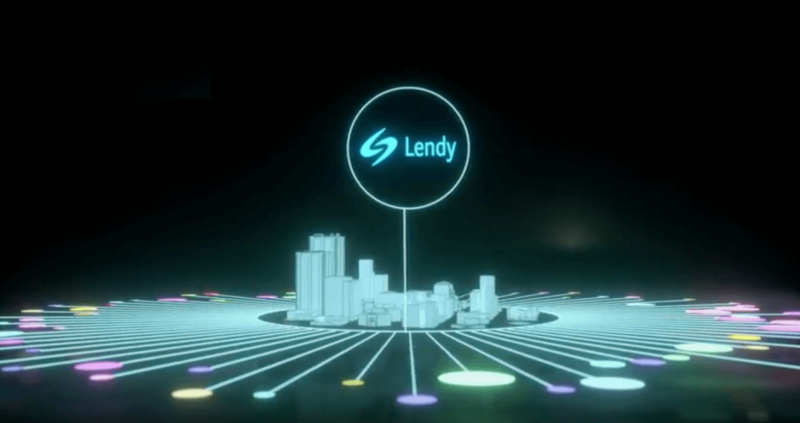 Lendy ensures this process is fast, simple and efficient, and delivers a fixed interest rate of up to 12% per year. All proposals are fully assessed by our experienced credit committee before being made available for investment. Lending is secured with a legal charge, and loan amounts do not exceed 70% of the Open Market Value. This means that in the event of a loan becoming non-performing there should be sufficient equity to allow loan funds to be recouped with the sale of the security. A Provision Fund is also maintained in case of shortfalls. Since 2012 thousands of investors have earned over £47,517,281 in interest. When a borrower approaches our parent company Lendy Ltd they begin with a full and in-depth assessment of the project. Professionally qualified chartered surveyors are instructed to value the property being used as security, to ensure any loan is a maximum of 70% of the Open Market Value. If the borrower and security meet the criteria the loan is secured with the averaged agreed term of 6 months. The borrower can repay the loan before the end date. Browse the Lendy portfolio and select ‘register to invest’ when you see a project you wish to support with peer lending. It takes minutes to set up an account, add funds and confirm the amount you wish to invest. You begin earning interest of up to 12% per year immediately. Interest earned is paid into your account monthly and at the end of the term your initial investment and any outstanding interest is paid into your account for withdrawal or further project funding. When you register with Lendy and invest at least £1,000 on the platform for a minimum three months, we will credit your account with £50. All new investors will be entered into our Lendy Cowes Week draw. We do not have a maximum amount you can credit to your account. The maximum amount of investment you could make to a project is 100% of the required loan, however it is unlikely you would achieve this owing to the current demand for our projects. There is no minimum investment amount. Funds that you credit to your account but are not committed to a project can be withdrawn at any time. Once you have invested in a project and the borrower begins servicing interest (typically once funds are drawn down) you will begin earning up to 12% annual interest on your capital immediately depending on the project that you have invested in. You will begin to earn interest when the loan is marked as “live’ and is shown under the Live Loans page here. When will my original investment be returned? Your initial investment and any outstanding interest are credited to your account in the event that the loan is fully repaid. The typical agreed loan term is 6 months, however borrowers can repay the loan before the agreed end date. Once the loan is repaid in full we ensure your funds are returned immediately, allowing you to withdraw the balance or commit to new loans. Please note that delays in loan repayments are a routine part of the process, and can often mean nothing at all as regards the final repayment of the loan. Delays can be caused by slow completion of a property sale, a refinance with a bank, by complications with planning permission, or by any number of other minor issues. Both borrowers and lenders in the market understand that delays happen regularly, and price that in accordingly. To allow for this, Lendy allows 180-days before classifying a loan as non-performing. This is to allow borrowers time to deal with these unavoidable delays and make repayments. Please see here for more information when Lendy deems a loan to be non-performing. Please do also refer to our Collections and Recovery Policy here. When you open an account with Lendy you can choose to invest in any loans, subject to availability. On making an investment you are expected to arrange for Lendy to receive cleared funds within 2 working days, after which Lendy has discretion to cancel the loanpart allocated to you should it so wish. Funds not invested in a loan will be held in the Lendy Client Bank Account with Barclays Bank PLC. Interest is not paid on any such balances. When the loan is drawn down, all relevant funds are then transferred out of the Lendy Client Bank Account and passed to the Borrower or their solicitors. All loans are secured with a legal charge (mortgage), which means the property can be sold if the loan becomes non-performing. Loans do not exceed a maximum of 70% of the Open Market Value. This means that if the borrower cannot repay the loan it is highly likely that we will be able to recoup all funds from the sale of the security property, as there is a substantial amount of equity. In the unlikely event that we are unable to recoup all the funds from the sale of the security we maintain a discretionary Provision Fund to allow us to compensate investors should there be a shortfall in the capital. We feel it is important to make you aware that with investing your capital is at risk and interest payments are not guaranteed if a loan becomes non-performing, however we feel confident that we have a thorough and robust system in place to protect all Lendy investors. Please see our information on Managing Risk here. The Provision Fund (PF) is made up of contributions from the loans in our portfolio. The Provision Fund is designed to assist in compensating investors in the event that the sale of the security property does not result in full repayment of the loan. If such an event takes place a claim will be made against the Provision Fund. The Provision Fund committee will assess the claim and all available avenues. This assessment will firstly assess any possible legal action or claim against any liable third party. If this is not feasible, then a claim against the Provision Fund or a claim decline decision will be made. The outcome of the initial claim will be communicated on the loan update page, with subsequent claim stages being communicated in this way. However it should be noted that the Provision Fund does not guarantee loans or provide insurance against loss. In the event of a shortfall after selling the security property, a claim may be made against the Provision Fund on behalf of investors. The fund is held on a discretionary basis and Lendy cannot guarantee that any claim will be approved, therefore should not be relied upon as part of the investment decision making process. You should be aware that with investing your capital is at risk and interest payments are not guaranteed if a loan is 180 days or more overdue. Future contracted income is expected future income that is currently being pursued from the borrower, valuer or guarantor etc… through legal avenues. Although there is no absolute guarantee of recovering these funds, this figure includes amounts that the firm is confident in its ability to recover through legal channels. Please note that we are currently transitioning to an all cash based Provision Fund with a target date of mid 2019. * Split via cash & contracted future income. † Calculated from all loans. ‡ Calculated from non-performing loans. We aim to maintain the Provision Fund at a balance of 2% of the live loan portfolio. It is important to understand that if the Provision Fund is used to cover a shortfall in asset disposal, it can take time for the Provision Fund to increase to 2% of the live loan portfolio if funds are used to pay a claim. If the Provision Fund is at or over 2% coverage of the live loan book, any additional payments to the Provision Fund will be discretionary. Lendy Ltd does not access monies in this account for anything other than the purpose of provision. This money is segregated from Lendy's operational accounts. The Directors of Lendy Ltd are also the Directors of the Provision Fund held in the name of Lendy Provision Reserve Ltd.